Celebrate a Classic Regency Christmas at Keegain Manor. Lady Jane, The Countess of Keegain, and her sister, Miss Julia Bellevue consider how to share the holiday cheer while snowed in with trying relatives and over-zealous friends. 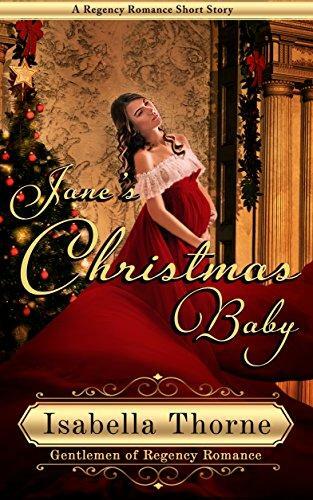 The stress of the holidays is compounded by the eminent birth of Jane’s baby. Jane’s friend Connie shares unsolicited advice about…well…practically everything, but even she is not prepared for this Christmas arrival. As the holiday and Jane’s time draw near, Lord Keegain, The Baron Fawkland and Miss Julia Bellevue must take over the Christmas preparations and much more besides in an attempt to stave off tragedy. Will this Christmas season end in joy or heartbreak? Enjoy this sweet and heartwarming short story with many of your favorite characters from The Baron in Bath.